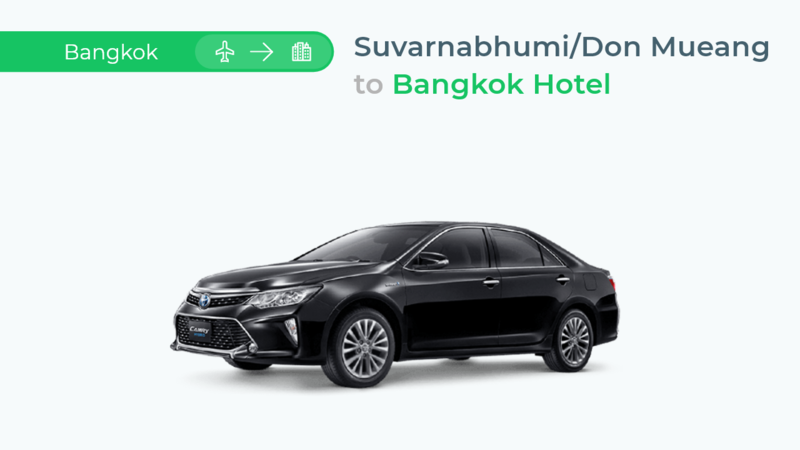 Skip all the queues and other hassles to any hotel in Bangkok with a private car driven by a reliable driver. - Rate is all inclusive: fuel, all expressway, tolls, all applicable government taxes, all parking fees. - Capacity up to 3 passengers with maximum 2 big baggages. The staff will show the sign with your name and wait for you between Gate 3-4 on the arrival floor of Suvarnabhumi airport (BKK). The staff will show the sign with your name and wait for you at Gate 3 for international flights or Gate 11 for domestic flights on the arrival floor of Don Mueang airport (DMK). What should I do if my flight delayed? Waiting time for flight delayed : the staffs will check your flight and wait for you around 4 hours with no more additional charge. If your flight will be delayed more than 4 hours, please contact TakeMeTour as soon as possible (support@takemetour.com). *Note that the double charge will apply if you are late more than 4 hours without informing us at least 1 day in advance. Booking cannot be canceled, refunded, changed or rescheduled under any circumstances. It was a pleasant, smooth sailing & reliable experience for us.